Effort to diversify the city's real estate market. LAKE WORTH, Fla. — A new opportunity for the Lake Worth real estate market. The city council is making moves to build the city’s first luxury apartment complex and it could generate new opportunities for local business. The new development will go into a vacant lot on Dixie Highway at 16th Avenue N.
The location sits just across the street from The Mad Hatter Lounge, which celebrates six years on the block next week. “We’re I think the Lake Worth “cheers” from up north," said owner Ron Amodio. They’re also celebrating some potential new customers across the street through the latest project. 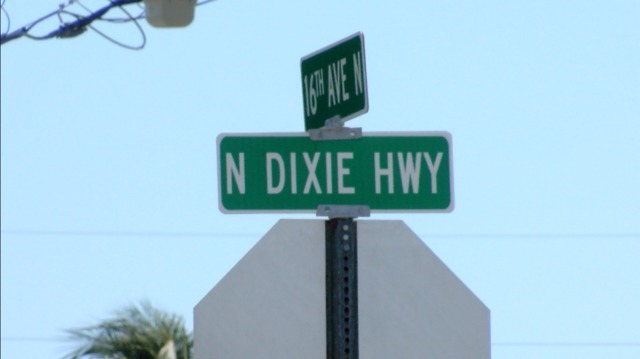 With a unanimous vote on the second reading this week, Lake Worth city commissioners are giving the green light to allow the project to move forward next year. Council is expected to make a final vote in mid-November. It’s an effort to diversify lake worth’s real estate, with a focus on young professionals. “If you’re into cute cottages, we have lots of things for you. If you're into historic homes, we have lots of things for you. But if you’re a young professional, that’s not ready to buy a home or not ready to take care of a yard, we have nothing for you and this is the first opportunity that we’re going to give to them," said Lake Worth city commissioner Omari Hardy, whose district includes the project area. Affiliated Development out of Fort Lauderdale is taking up the project and will call the new luxury apartments The Mid. The apartments will be available for rent starting at $1,100 for a one bedroom and $1,400 for a two bedroom. “We have been trying to get this property developed for years and years and years," said Commissioner Hardy. One concern so far is traffic congestion on Dixie Highway. The county conducted a traffic study in September and found the new project would bring about $1,700 new cars onto the four-lane road. Luckily, the city is looking into traffic lights at the intersection and other potential options to help mitigate traffic flow. The developer is also paying nearly $1.5 million in impact fees to the county. Amodio, who has lived in the area for 20 years, said he's not worried about traffic becoming any different than it already is during rush hour. “I think once people are established and have a routine, they’ll know how to get around it," he said. Commissioner Hardy says this could be the beginning of a wave. “These people are gonna be spending money and I think these businesses are going to follow them to Lake Worth," he said. And with 230 units and added retail space, that means hundreds of people looking for a neighborhood hang out. “We’ll probably be over there knocking on doors and handing out free passes for free drinks and get to know us," said Amodio. Construction is expected to start in late spring 2019 and will last about a year and a half.